The axilla is the space in the interval marking the junction of the upper arm and the chest wall. It is a key area because many important neurovascular structures pass through it. It is pyramidal in shape. For patients diagnosed with breast cancer, determining whether cancer cells have spread to the axillary lymph nodes of the armpit is important for guiding treatment decisions. It has been debated whether axillary ultrasound imaging is equally sensitive for detecting axillary metastatic lymph nodes in different subtypes of breast cancer. Hyperhidrosis is excessive sweating that is more than what is needed to regulate body temperature. About 7 million Americans suffer from hyperhidrosis, a disorder that often goes undiagnosed. 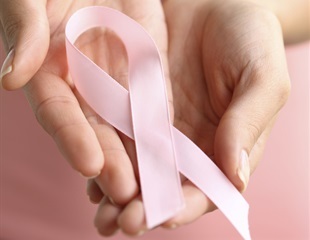 Patients with stage 2 or stage 3 triple-negative breast cancer (TNBC) who had a pathologic complete response (pCR) after presurgery chemotherapy had increased event-free and overall survival compared with those who had more than minimal residual invasive disease at surgery following presurgery chemotherapy, according to results from the randomized phase II CALGB/Alliance 40603 clinical trial presented at the 2015 San Antonio Breast Cancer Symposium, held Dec. 8-12. Stony Brook University and Ortek Therapeutics, Inc. announced today that two patent applications were filed in the United States and internationally for nutrient based compositions utilizing an innovative microbiome technology that may help combat certain infections. SAM Medical Products is pleased to announce it has received 510(k) regulatory clearance from the FDA to add an additional indication of use to the SAM Junctional Tourniquet. Axillary lymph node dissection is done in conjunction with lumpectomy or mastectomy to determine if breast cancer has spread to the adjoining lymph nodes. The conventional surgical approach leaves a surgical scar that is unattractive and can restrict range of motion in the shoulder joint. Also, squeezing and pulling the tumor during the breast operation can stimulate tumor cell metastases. Breast cancer specialists at NewYork-Presbyterian Hospital/Columbia University Medical Center are offering patients new ways to detect early signs of lymphedema, a common side effect of breast cancer surgery that causes painful, debilitating and disfiguring swelling in the arms following removal of lymph nodes. A new study from Rhode Island Hospital now sheds light on both the quantity of MRSA at different body sites and the relationship between the quantities at different sites. A slowly progressive weight lifting program for breast cancer survivors did not increase their risk of lymphedema (arm swelling and discomfort), according to a study that will appear in the December 22/29 issue of JAMA. The study is being released early online to coincide with its presentation at the San Antonio Breast Cancer Symposium. Hoag Memorial Hospital Presbyterian recently announced encouraging clinical study results for patient-specific vaccine therapy to treat metastatic melanoma. The study is ongoing, but the report concludes that patient-specific vaccines can sometimes induce durable complete regression of progressing soft-tissue melanoma metastases, as demonstrated in one particular patient who participated in the trial. An active 72-year-old woman, Claire Mitchell had always enjoyed cooking. However, after breast cancer surgery she found that she had less freedom of movement and reaching jars on high shelves became quite painful. Her plight is common. Predicting breast cancer spread from a sentinel lymph node removed during surgery is a hit or miss affair, say researchers: there are still many false negatives, which means the node, when analyzed under a microscope, appears clean of cancer cells, but metastasis can still occur in the patient. The sentinel node is the first lymph node in the axilla that cancer spreads to. Twenty years ago, the first approved use of BOTOX(R) (botulinum toxin type A), a neurotoxin widely used to treat several life altering medical conditions, was granted in Canada. As part of the 20th anniversary celebrations, healthcare professionals from coast to coast reflect upon the discovery, science and evolution of a therapy that has impacted the lives of millions of patients worldwide. At the 95th Scientific Assembly and Annual Meeting of the Radiological Society of North America (RSNA), "Images, my way" will resonate throughout the Siemens Healthcare booth (#825) from November 29 to December 3 at McCormick Place (Booth #825, East Building/Lakeside Center, Hall D) in Chicago. Australian company, Acrux, today announced positive results from a Phase III trial evaluating the safety and efficacy of AXIRON™ in 155 men with testosterone deficiency (hypogonadism), across 26 sites in six countries.